Using this plugin you are able to create a modal box with a login form. On the settings page, you can add a redirect at login and logout, set the title and set the postion of the login/logout button (primary or secondary navigation). 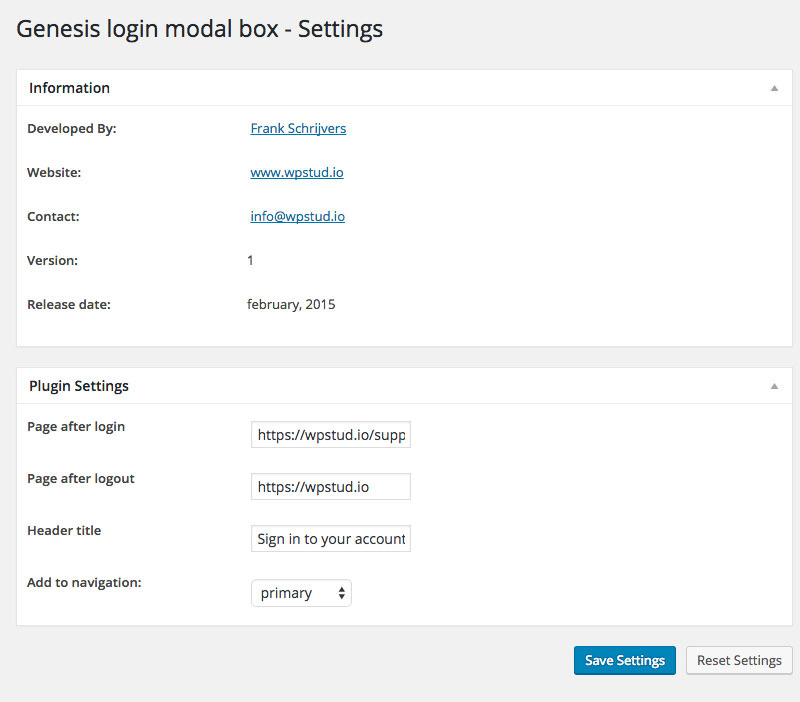 The settings of the Genesis login modal box plugin can be found under Genesis > login modal box. You can set the page URL at login. This is the page you redirect your users to when logged in. When a user logs out you can set a redirect at Page after logout. Using the Header title enables you to set the title of the modal box. By default this is set at ‘Sign in to your account’. The last field offers three options: primary, secondary and none. This option allows you to add the login button to the Genesis primary or secondary navigation. When the user is logged in, the button changed from login to log out. If you want to use a link to trigger the modal box you can use the following short code.